I got one of my dream items! It’s such a nice thrill when you finally get a dream item! I also recently got these chocolate socks. I’m totally in love with them! I meant to post about this a lot earlier.. But Meltia released another song! It’s called “Un, Deux, Chocolat”! I think it’s a really cute song and I like it even more than their debut song. 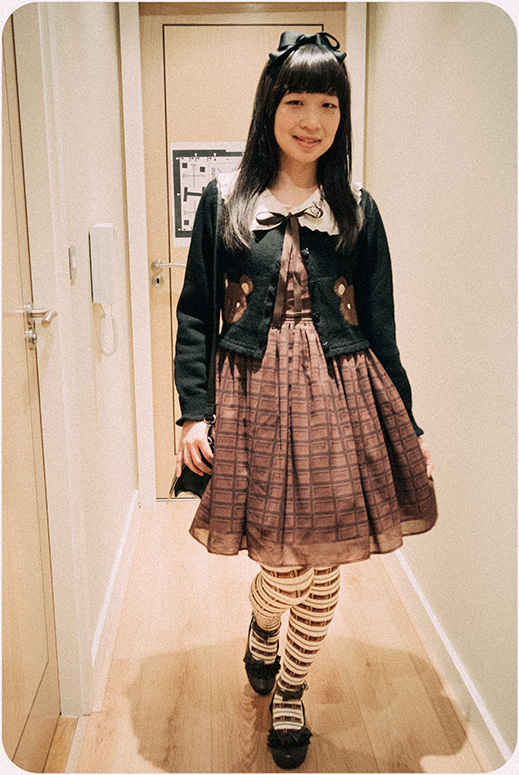 They’re all wearing dresses/skirts from Angelic Pretty’s Cream Cookie Collection series. 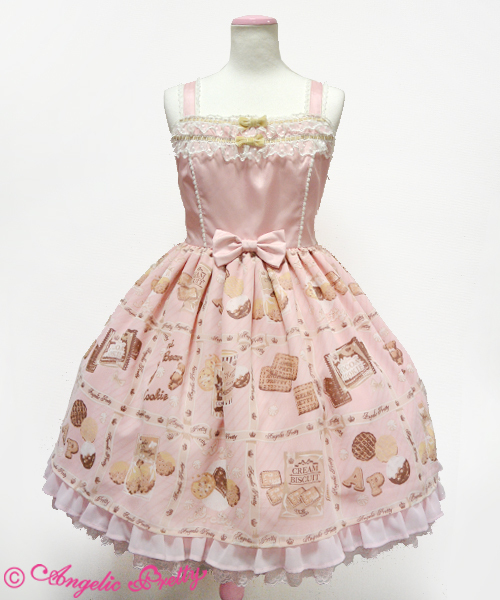 I’ve decided the pink JSK is also a dream dress of mine now too.. I think I should haven’t watched that video too many times! 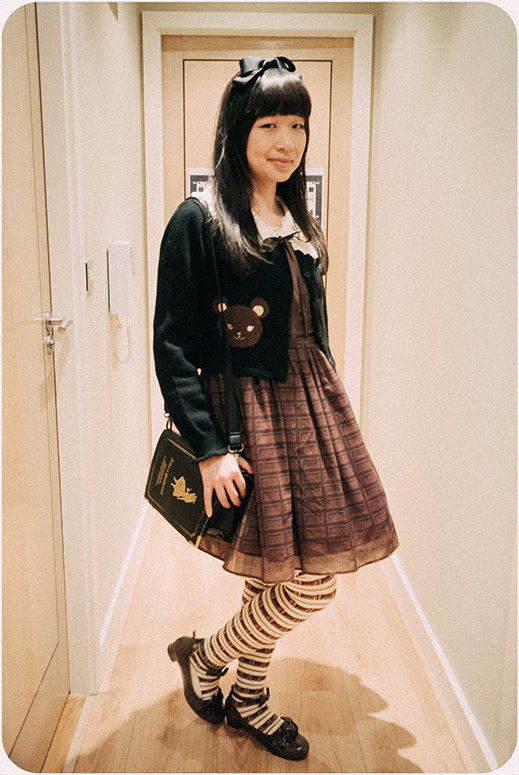 This entry was posted in blog and tagged coordinate, japanese fashion, music. Post a comment or leave a trackback: Trackback URL. Your blog is so neat! The travel looks so exciting. I’m so jelly!